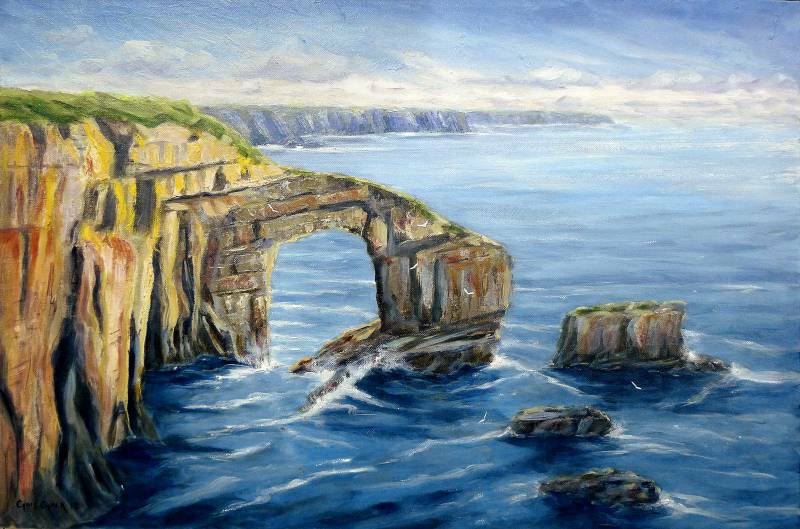 A painting of the dramatic green bridge of Wales, a wonderful natural cliff structure near Castlemartin in Pembrokeshire. 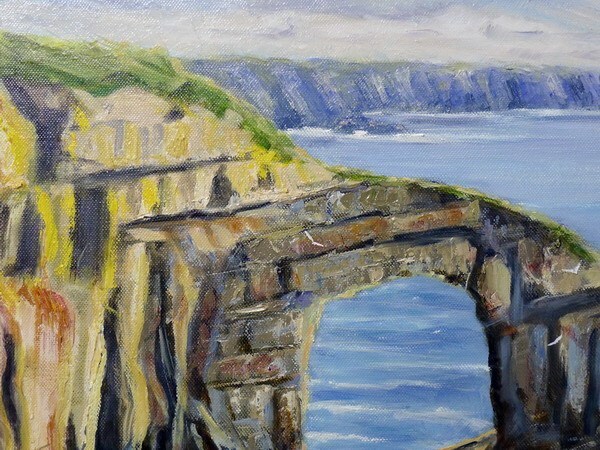 A spectacular sight at any time of year, but particularly beautiful when the the sun is shining and the sea is turquoise blue in late summer. 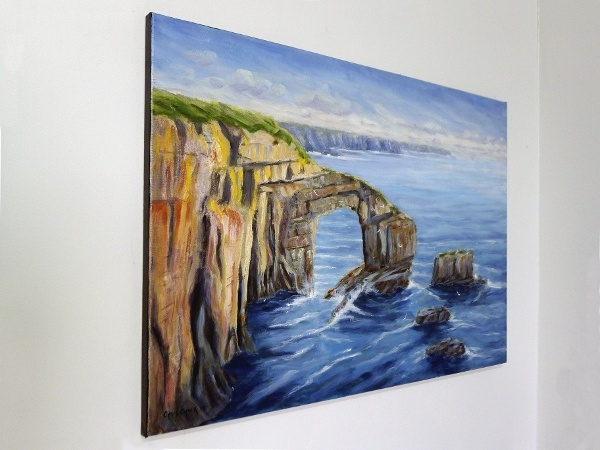 "The Green Bridge of Wales"
Oil on canvas: 30" by 20"
Painted on Loxley Gold stretched canvas, 30 inch x 20 inch x 1/3 inch - This painting can be framed, or hung un-framed as shown.